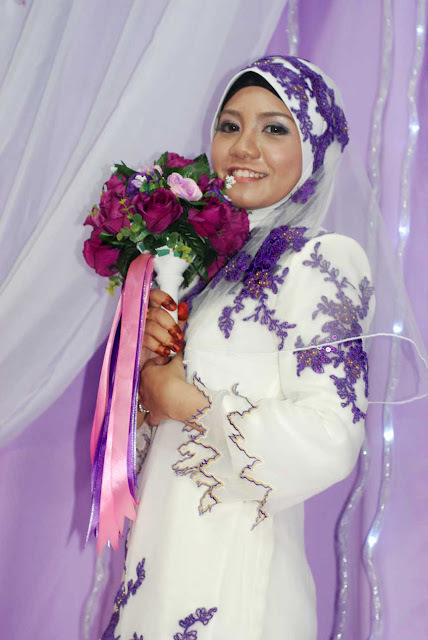 White Kurung Modern + Patching Purple Lace Flower. Purple bouquet make me feel complete. 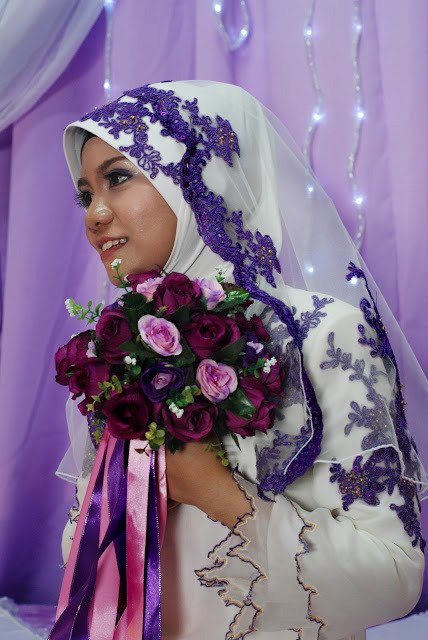 Awning Tudung patch with purple lace flower + veil flower border. This is my Kurung Modern dress is patching lace style.I buy lace fabrics and the designer cut it and patch the flower at the chiffon.Some people confuse they think I use Border lace.Actually you can buy lace fabrics for save the costs.